The ice yard was installed at the entrance to Brisbane’s LIVID Festival. 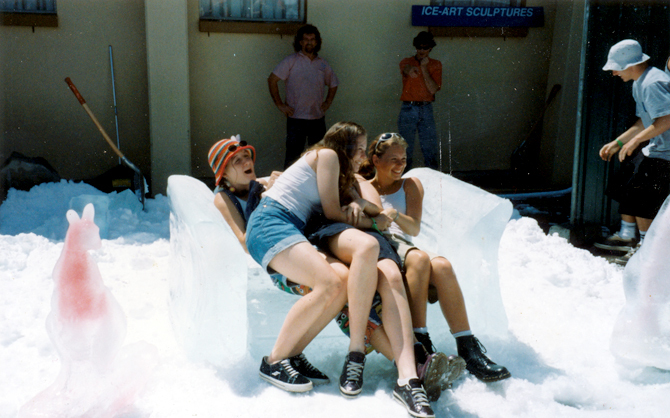 The ice chair was carved on site by a world champion ice carver, and the kangaroos were cast from iconic Australian concrete garden ornaments that once populated people’s front yards. Needless to say, snowball fights were popular.